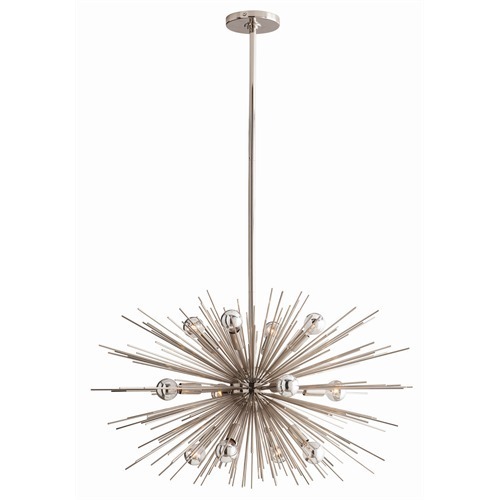 The Zanadoo 12-light starburst design in polished nickel is the perfect accent piece. We love it with the silver capped round bulbs shown (not included). Measures (Adj) 27 - 45"H x 29"Dia. This fixture takes 12 bulbs - 40 watt maximum each (not included).